The woes of finding the perfect plus-size bridal ensemble are things every curvy woman can understand. The stress of finding plus-size bridal ensembles is something every curvy woman can understand. So we sized up the situation and came up with proven tips for finding dream wedding outfits that will make you look like a full-figured fashionista. Wedding outfit shopping for a bride can be an exciting yet disconcerting experience if you are a plus-size woman in a sea of sample size zero outfits. Shopping for the perfect ensemble, however, regardless of size or shape, should never be an unpleasant experience. Also, you should never feel forced to settle for anything less than your dream ensemble. Women come in all shapes and sizes, and every bride is beautiful. And though we — and dress designers and boutiques - know this logically, minuscule sample sizes are still the norm. The good news is that no matter your size or shape, you can look gorgeous on your wedding day. We bring you seven tips on how you can achieve just that. If you've always dreamed of rocking that Sabyasachi or Manish Malhotra lehenga, you should go for it! While many style experts agree that some silhouettes are more flattering - and forgiving - to certain body types if you've got your heart set on a designer lehenga and you feel beautiful in it, go for it. There is nothing a plus-size bride cannot wear. What is important is that you feel comfortable and confident in your ensemble. Take a cue from real bride Dolly Meghani who dazzled in a Sabyasachi lehenga and inspired brides to believe that who they are and what they look like is enough to be truly happy and feel beautiful on their big day. The fabrics you choose can make or break how you feel in a dress. Thicker ones are ideal for curvy brides because they smooth everything out, creating a streamlined silhouette. Be aware that strapless styles can make shoulders look wider, so consider opting for styles with thicker shoulder straps or cap sleeves. Avoid heavily-beaded bodices and appliqués which can draw attention to areas you’d prefer to minimize. Don’t let your shape overly dictate the style of the dress. Yes, there are some silhouettes that you will find work better for your body shape, but you might surprise yourself with the different looks that you can wear. Try on everything. You never know, an outfit you didn't think was right for you could be the one. There is a silhouette that fits perfect for every body type, but blouses with plunging necklines and empire waistline dresses are great for curvy girls. 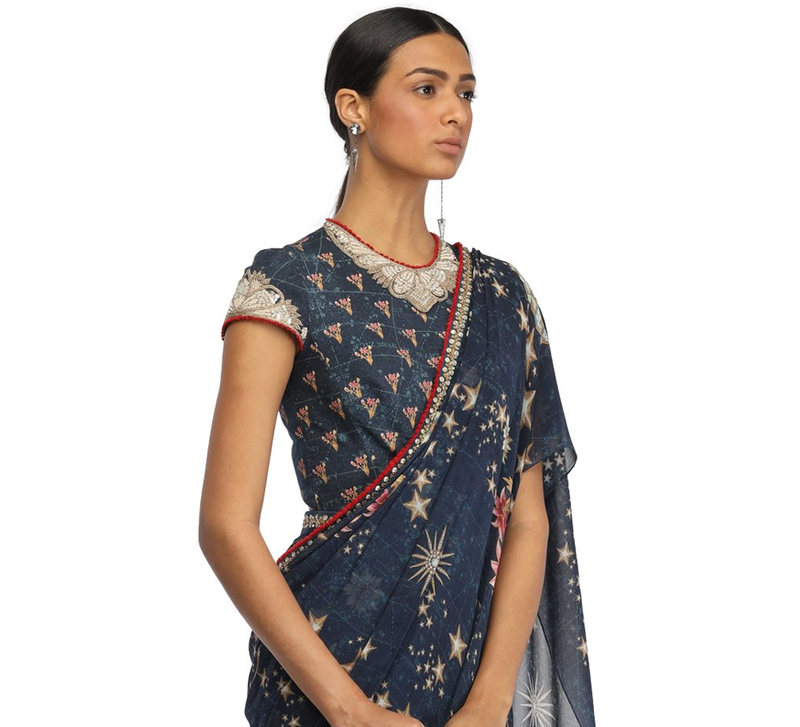 A-cut lehengas that fall straight down from their waist is also a flattering option. For brides who have a wide midriff, the best options are long blouses that cover their midriff and accentuate the bust line like the lehenga worn by popular comedian Bharti Singh on her wedding day. Look for dresses that have asymmetrical detailing, which is not only more flattering but also artistic and unique. The asymmetrical hem will draw the eye downward and create fullness at the bottom of your reception gown, which will balance out the fullness on the upper or mid portion of the body. For this reason, an asymmetrical gown is one of the best reception dress shapes for plus-size brides. A lot of brides believe that buying a smaller wedding dress will motivate them to shed weight before the wedding, but in reality, it just adds a lot of unnecessary stress. Always go with the biggest size, this means, that if your bust is measuring a size 12, but your hips are measuring a size 18 - you should buy the dress in size 18 and alter it down to accommodate the rest of your body. 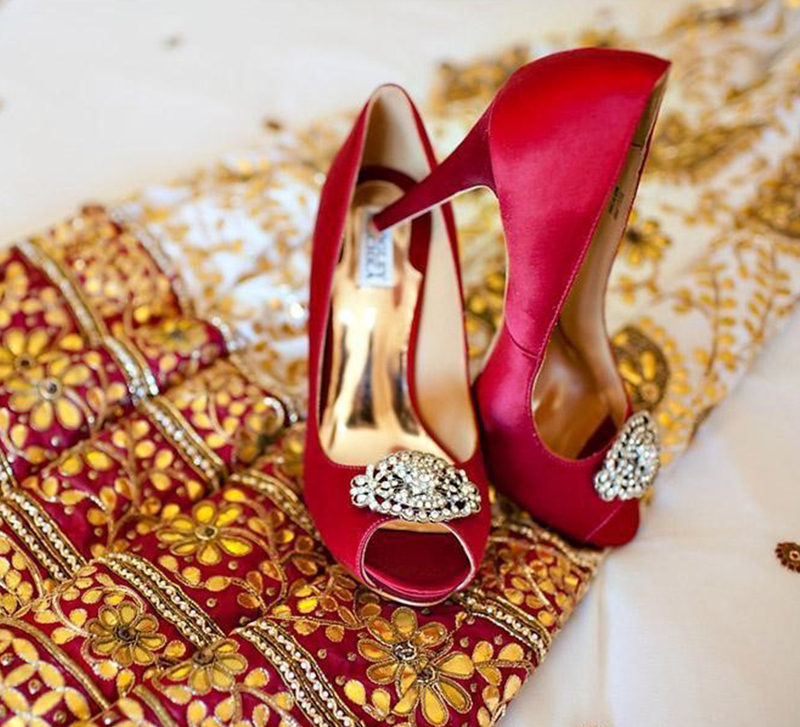 The first rule of thumb while considering your wedding ensemble is to put your comfort first! Weddings are a marathon, not a sprint. Sure, you may have fallen in love with a gorgeous lehenga that’s two sizes too small, convincing yourself that you’ll be fine, but you won’t. Just trust us on this. You’ll be up, down and moving around all day and all night long, so you’ll need all your faculties to make it to the finish line.